Employment Health assessments are great but they can, take lots of time and can cost your business lots of money in lost productivity. Now, that no longer has to be the case. You can have all the benefits of ensuring your people are fit for work without the long downtime. 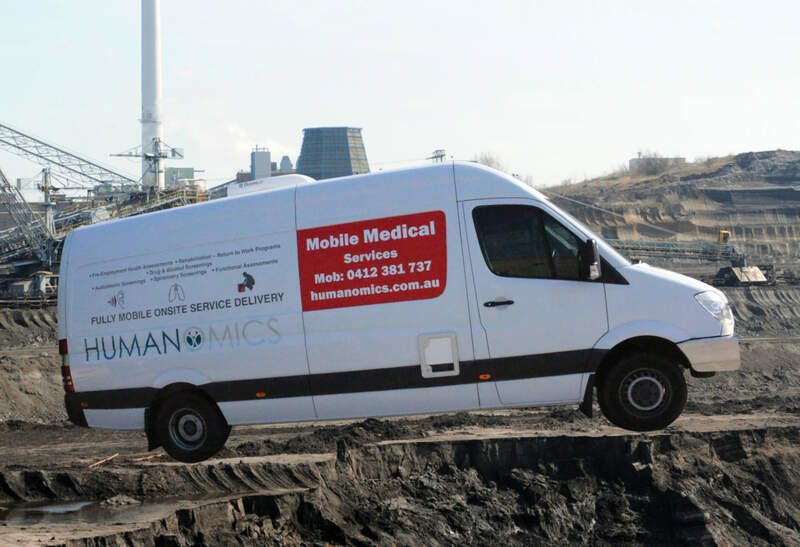 Humanomics can now come to you with our state of the art mobile testing facility. We’re currently undertaking requirements for ISO 9001 accreditation. Less downtime. Your employees don’t need to waste time travelling. In fact some assessments can be completed in as little as 20 minutes. Need to scale up your workforce for a project? Bulk assessments can be done quickly and easily. We can come to you and complete all your pre-employment assessments on the spot. You can interview, assess and employ new employees all on the same day – ideal for large projects.